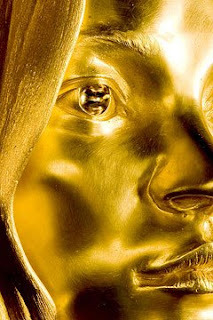 "HAVING cast Kate Moss in a provocative yoga pose for his 2006 work Sphinx, Marc Quinn will today unveil Siren - a larger-scale version of the piece, cast in gold - at the British museum. As only befits one of the world's greatest supermodels, Siren's stats are impressive. It weighs in at 50 kilograms, is worth £1.5 million and is said to be the largest gold statue to be made in the world since the time of Ancient Egypt. "I thought the next thing to do would be to make a sculpture of the person who's the ideal beauty of the moment," Quinn says of his supermodel subject."